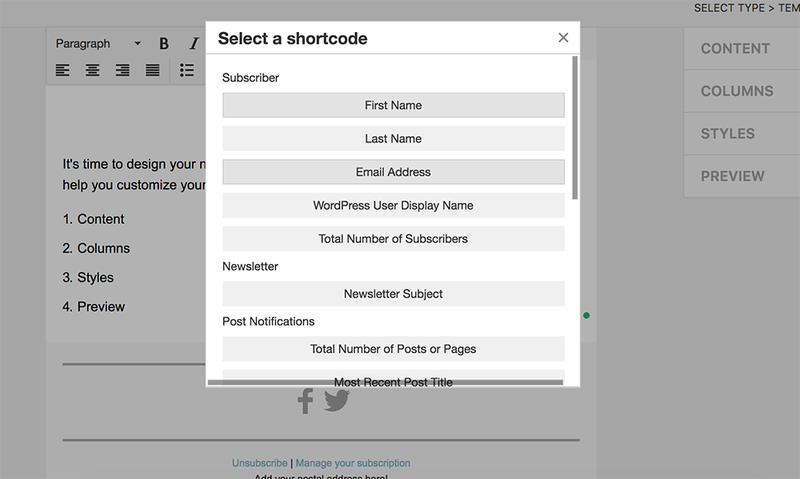 You can personalize your newsletters by including shortcodes which will show more information about your subscribers, about your content, specific dates, etc. See the full list of available shortcodes. You will see a full list of available shortcodes. Just click on the ones you want added to your text block. The text after the parameter "default" will be used when the first name or last name is not found on the subscriber's records. 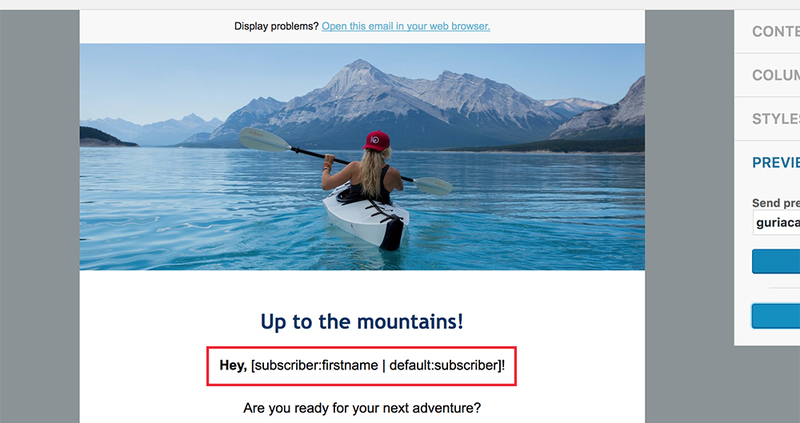 By using word "subscriber" it will display "Hey, subscriber!" Howdy [subscriber:firstname | default:subscriber], how are you today? 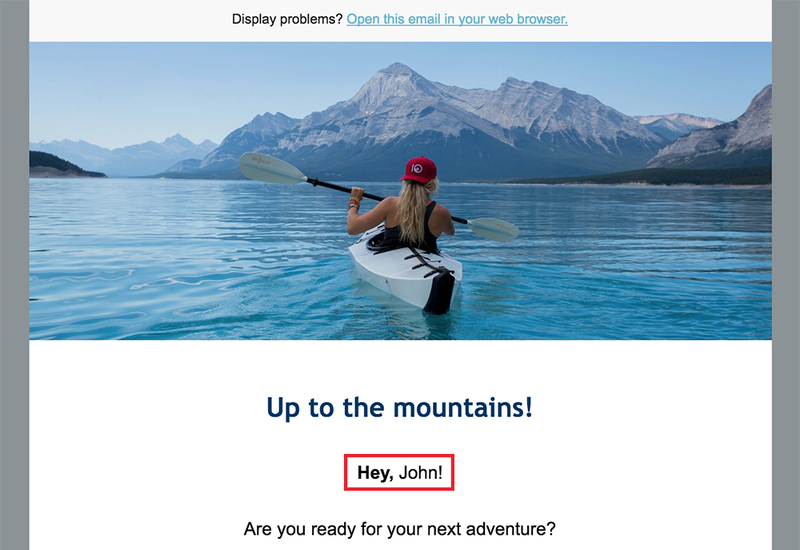 If your subscriber full name is John Doe, and you send him the newsletter, he will see the message: Howdy John, how are you today? Hello [subscriber:firstname | default:Comrade] [subscriber:lastname | default:of our ship]! Hello Comrade of our ship! Relative dates: [date:custom | format:l jS F Y \a\t ga] will produce "Tuesday 10th January 2017 at 9am". The format values must be compatible with the PHP Date Formats. Please read this article for more information on adding your own shortcodes.